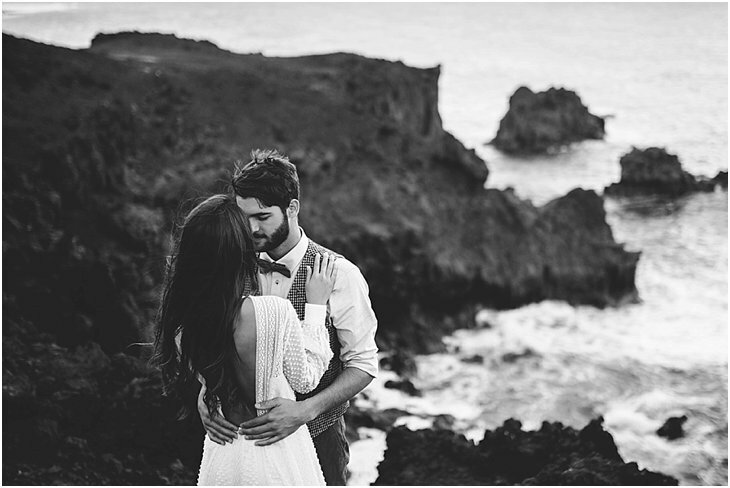 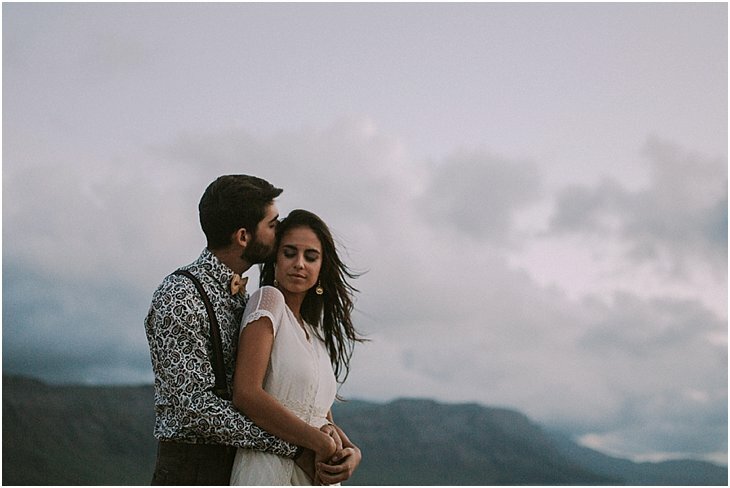 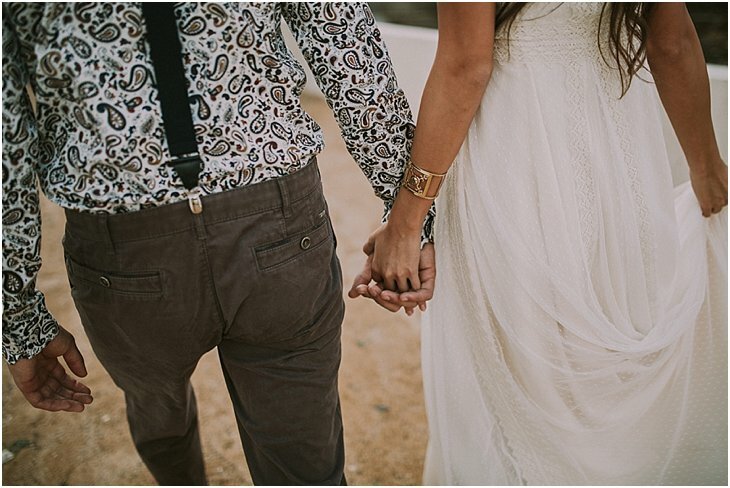 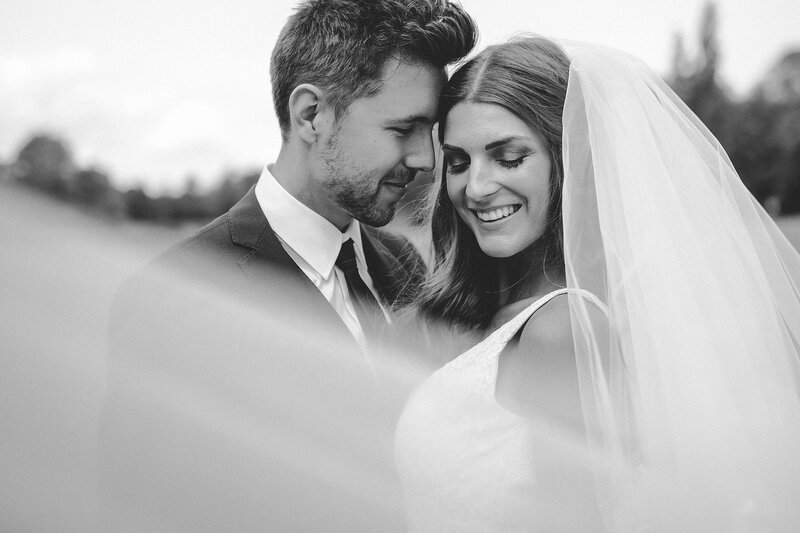 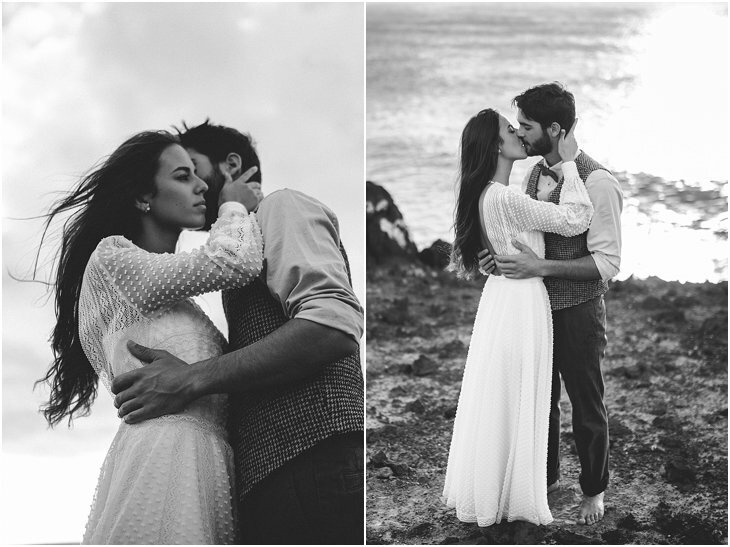 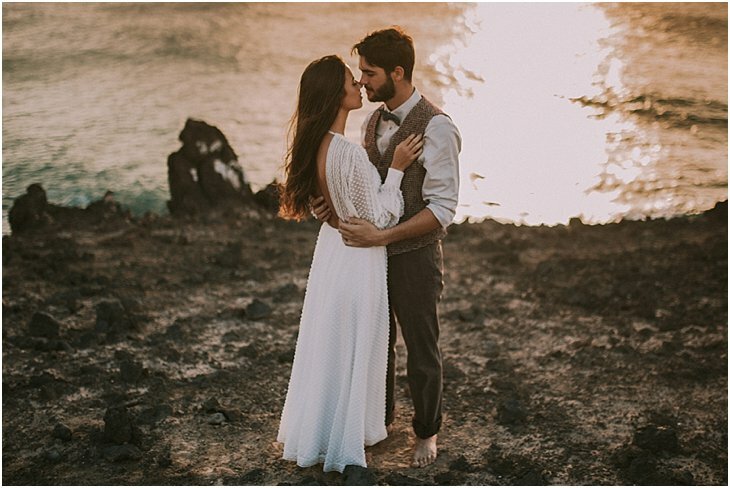 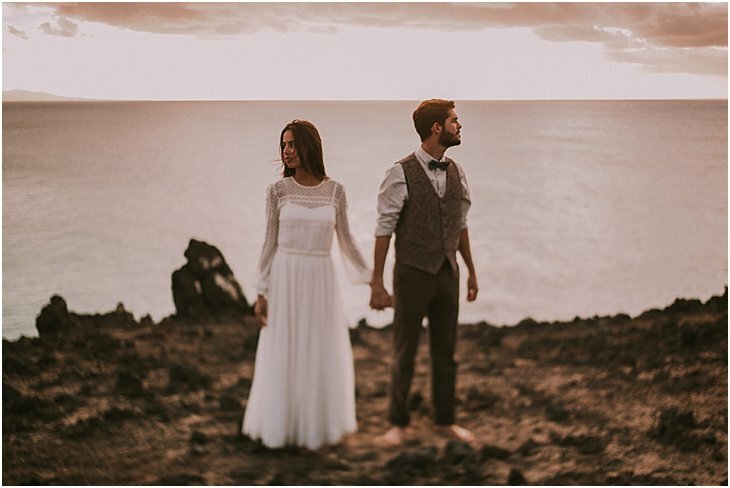 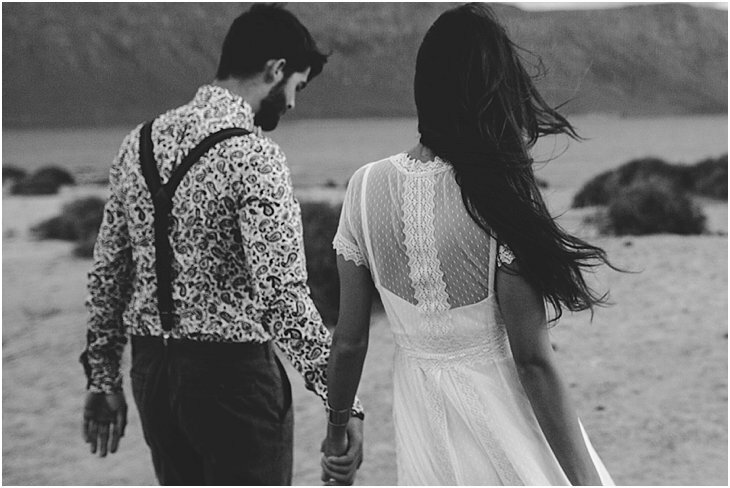 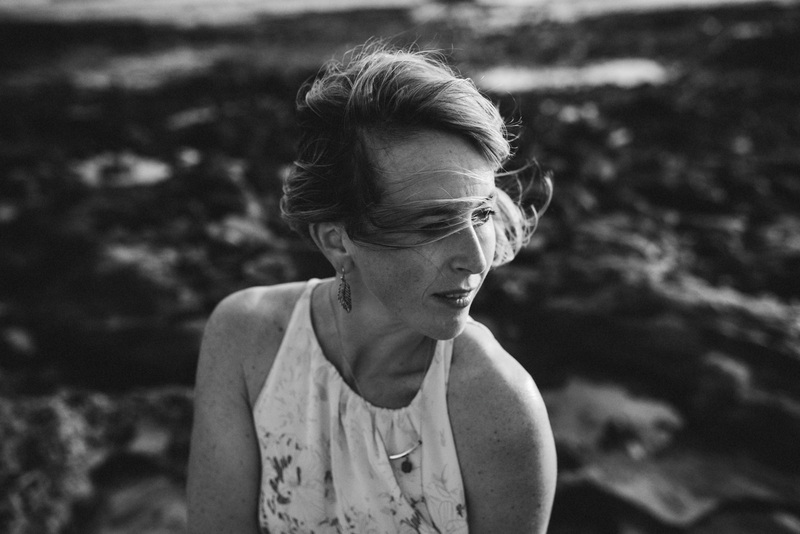 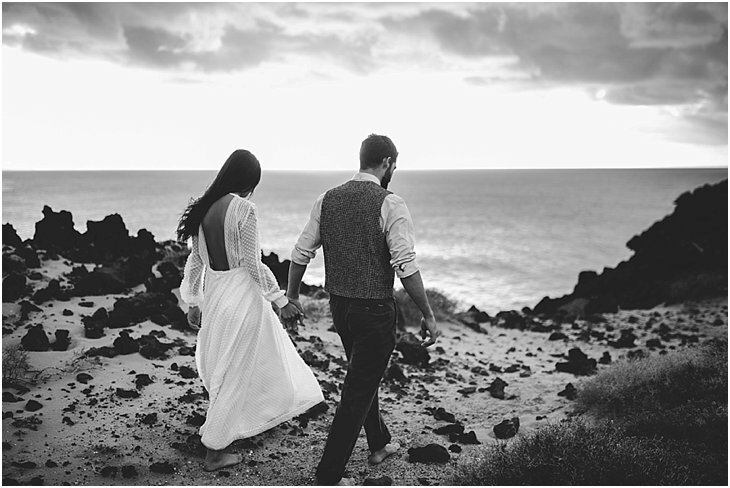 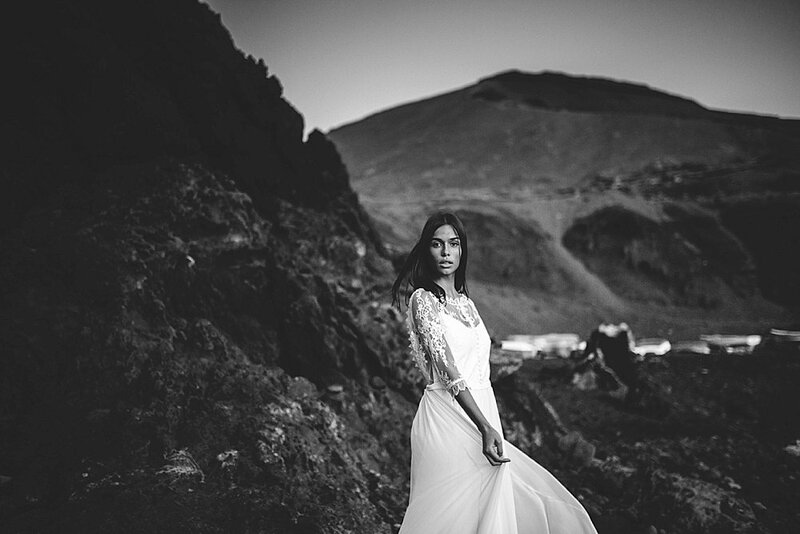 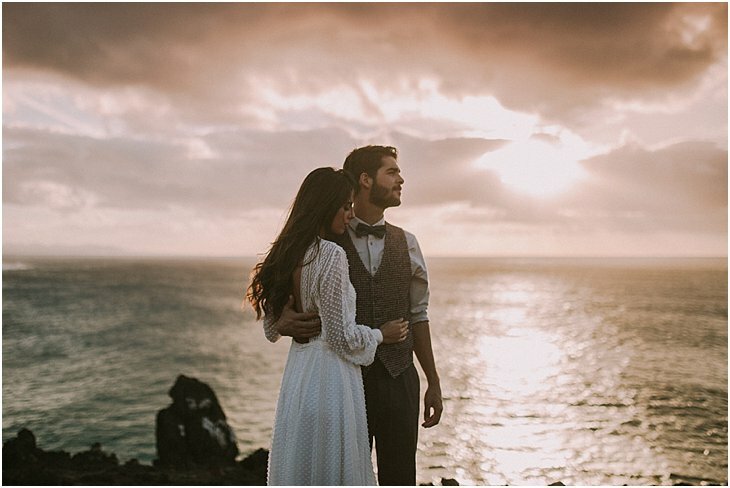 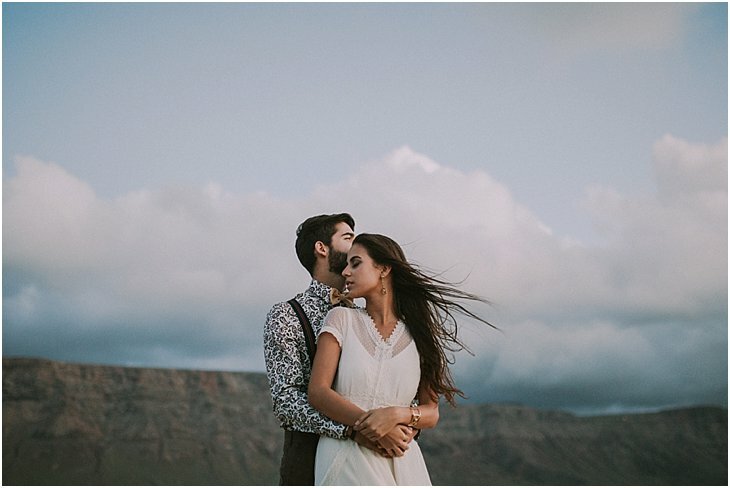 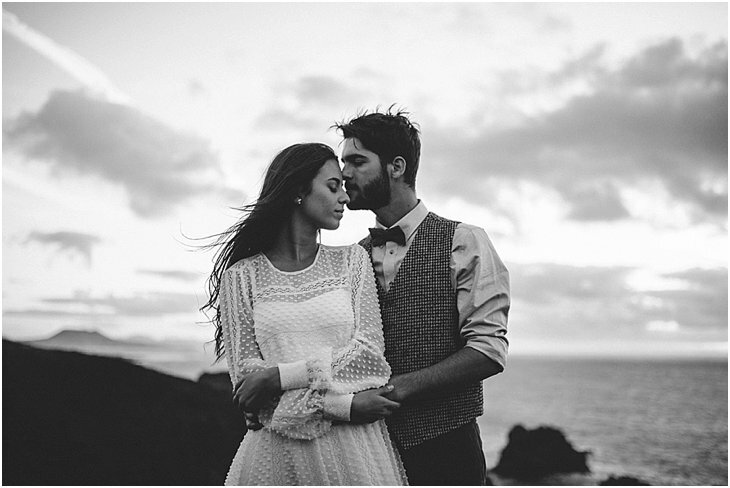 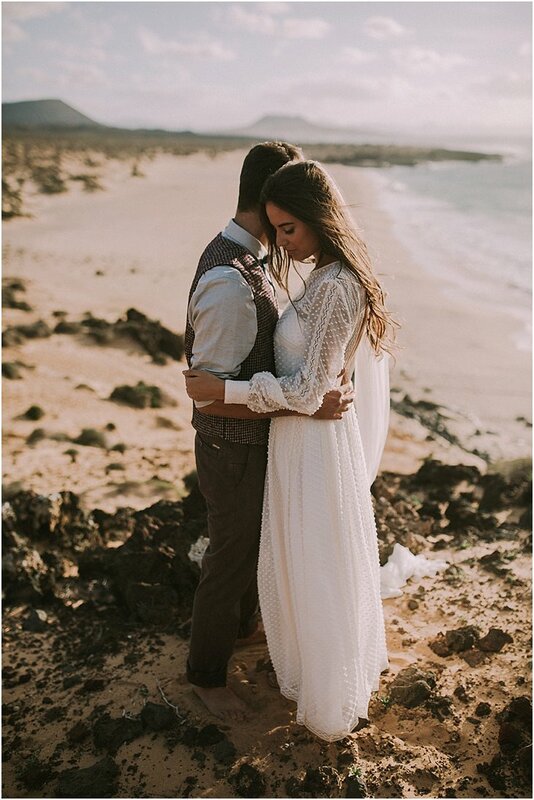 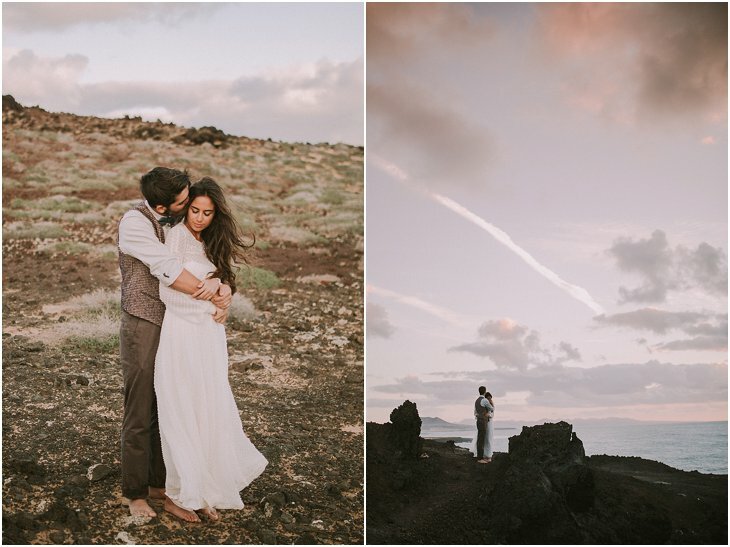 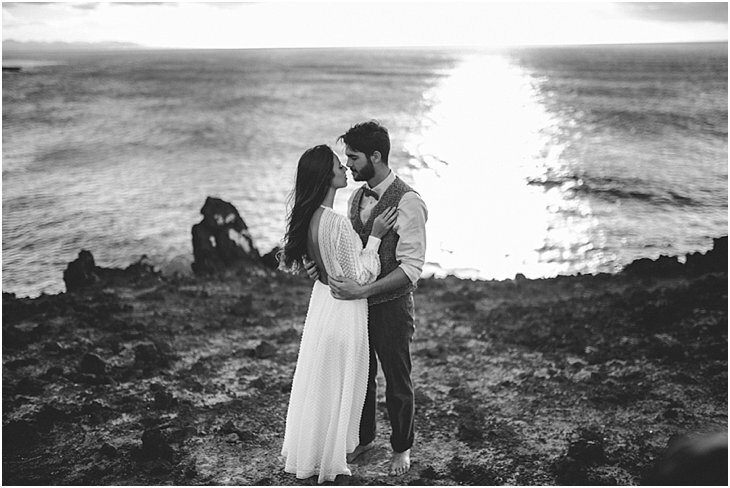 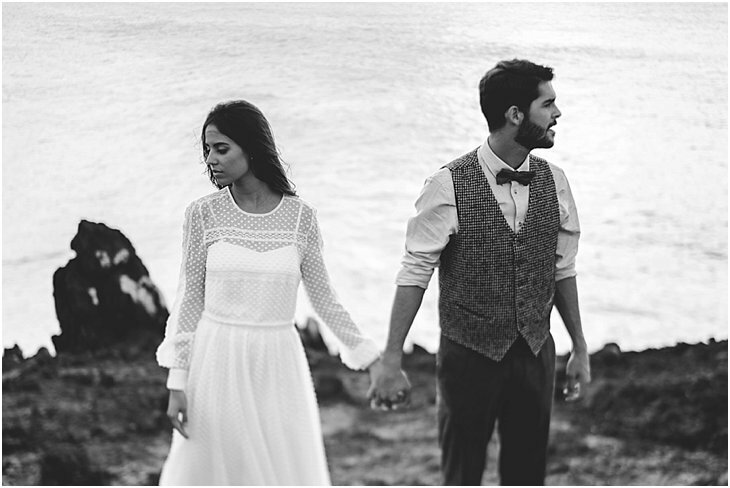 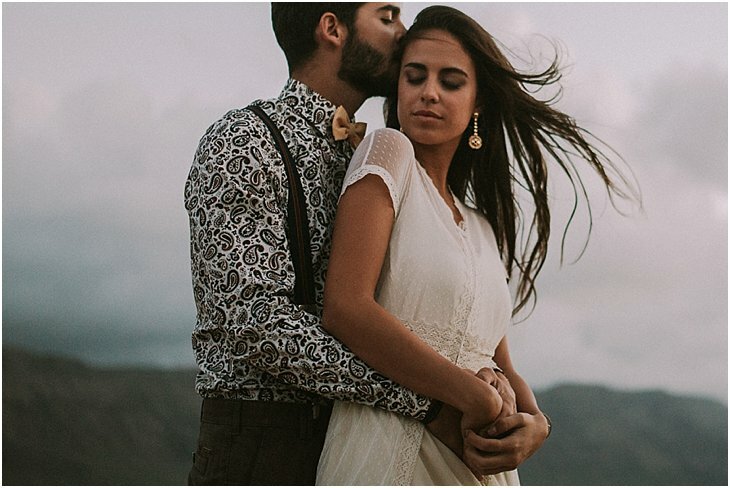 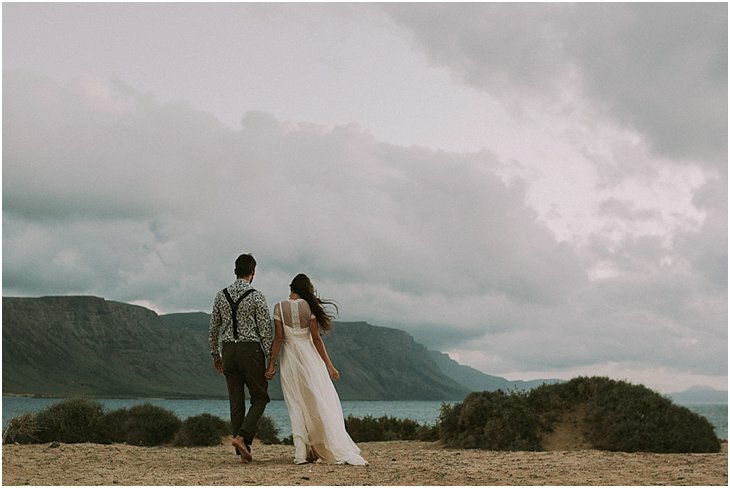 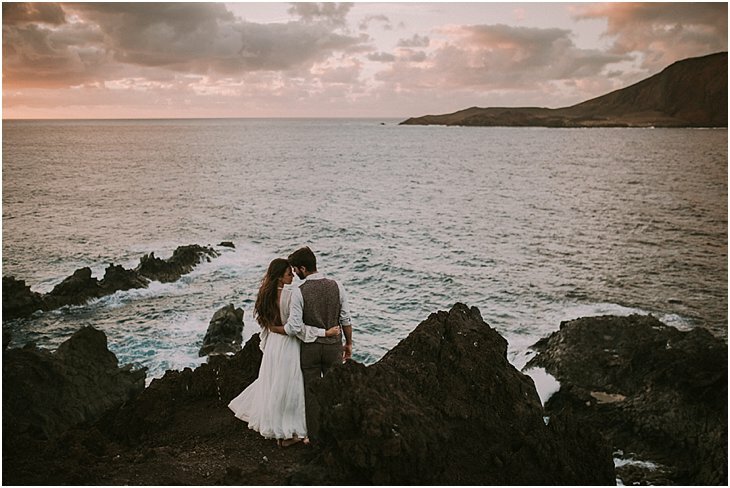 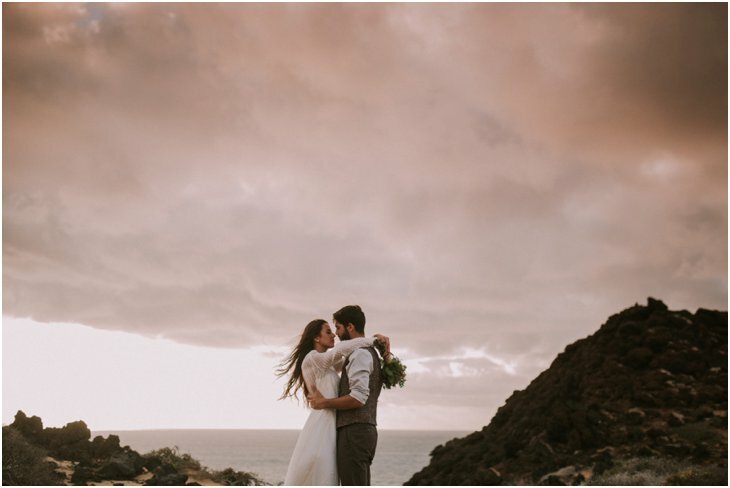 Shooting a Canary Islands Elopement was already long on my wishlist. 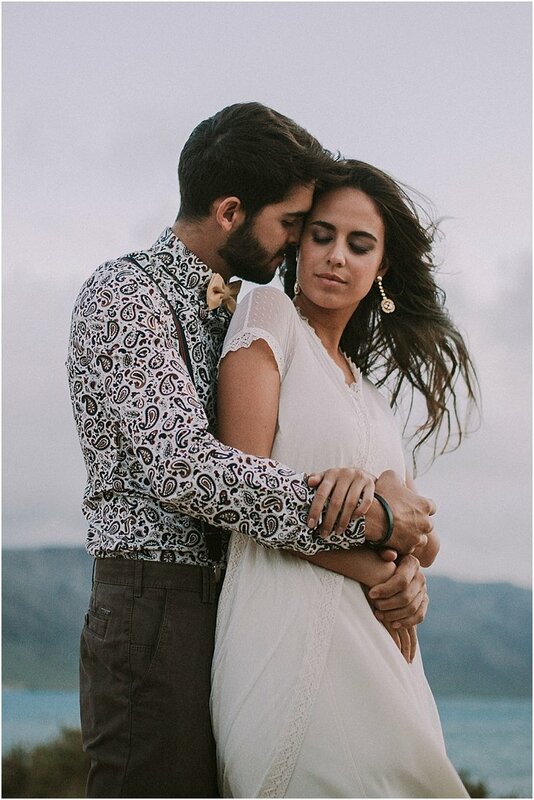 November was my lucky month. 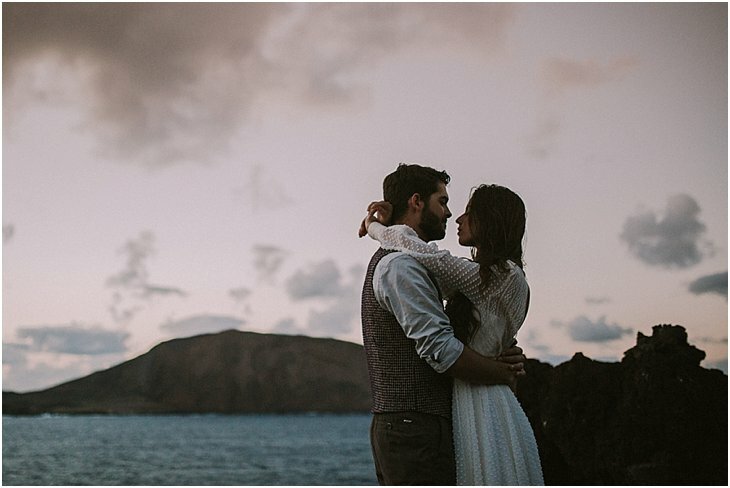 I spent a lot of time on 2 different islands, one of them was the tiny and remote Islands of La Graciosa. 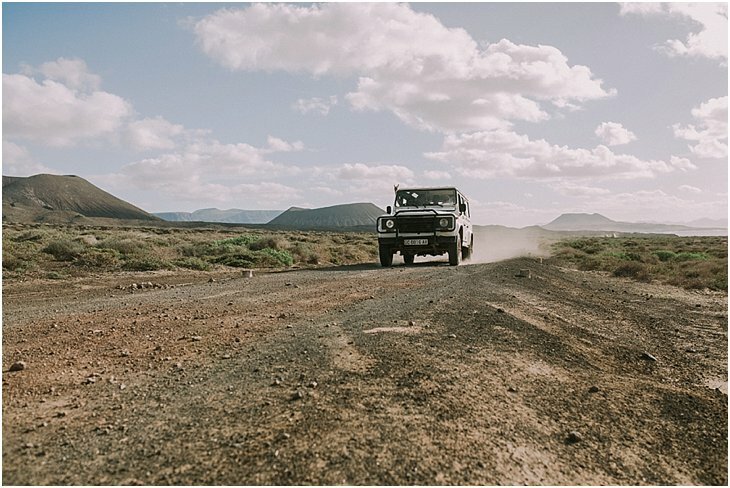 La Graciosa is situated a bit north of Lanzarote, has only one village and only a dozen cars are allowed to drive on the island. 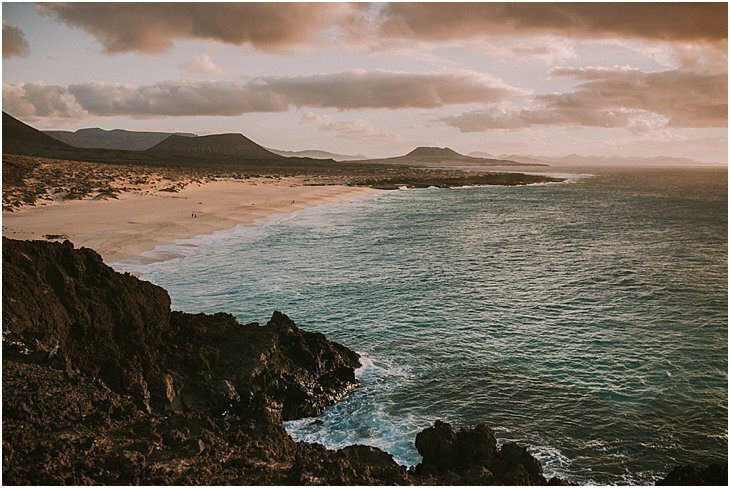 There are no paved roads, so I don’t have to mention there is sand e-v-e-r-y-w-h-e-r-e after you spend a week in this wonderful place. 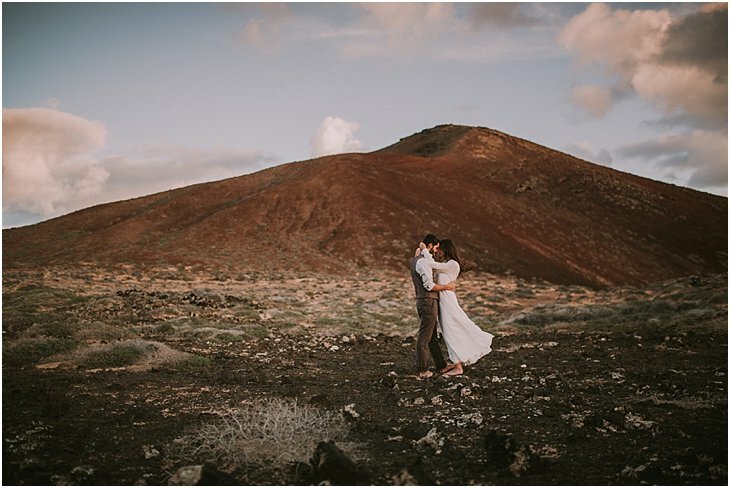 As the Canary Islands are volcanic islands, the flora is rather limited, but the volcanic landscapes you get in return in combination with the rough sea and the most beautiful sunsets, are just fantastic. 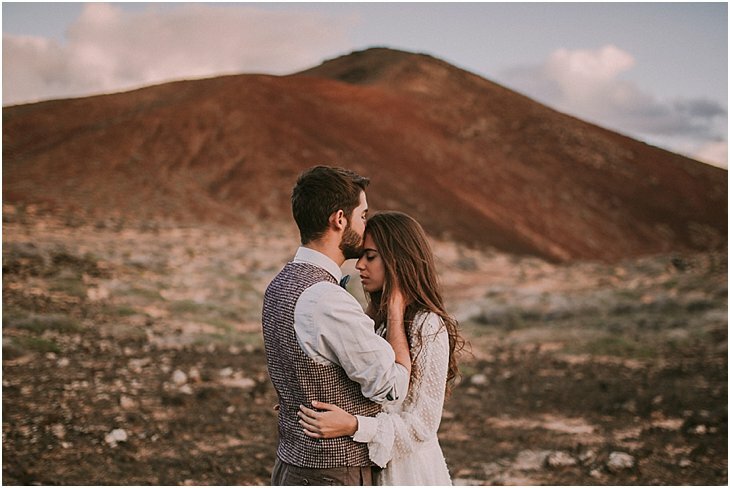 I travelled to La Graciosa after spending some days in Lanzarote, where I also did some breathtaking shoots. 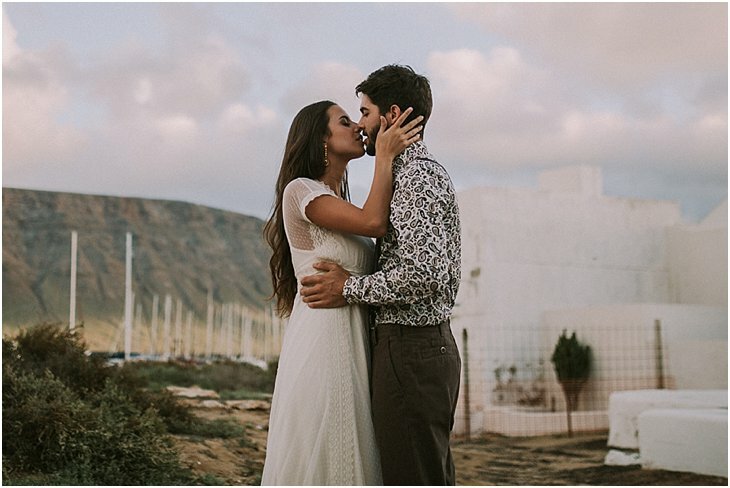 Miriam & Eduardo flew in from Gran Canaria, where they live. 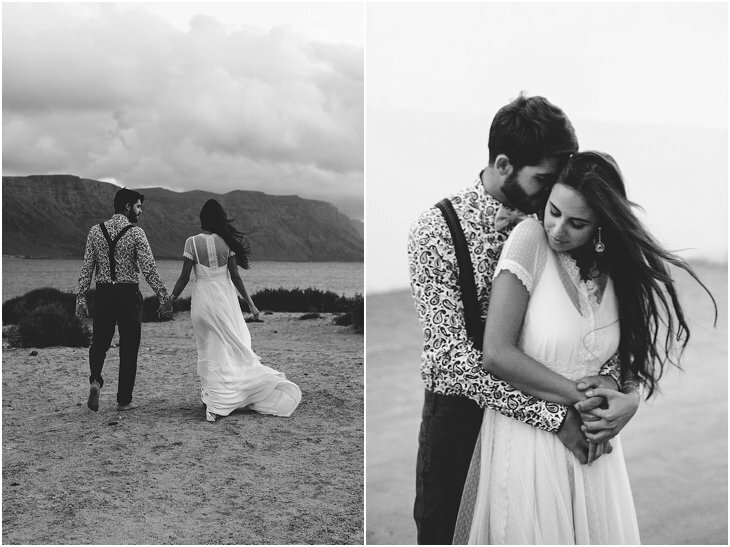 We went out shooting on 2 consecutive days, always started around 5PM and continued until it was dark ànd cold. 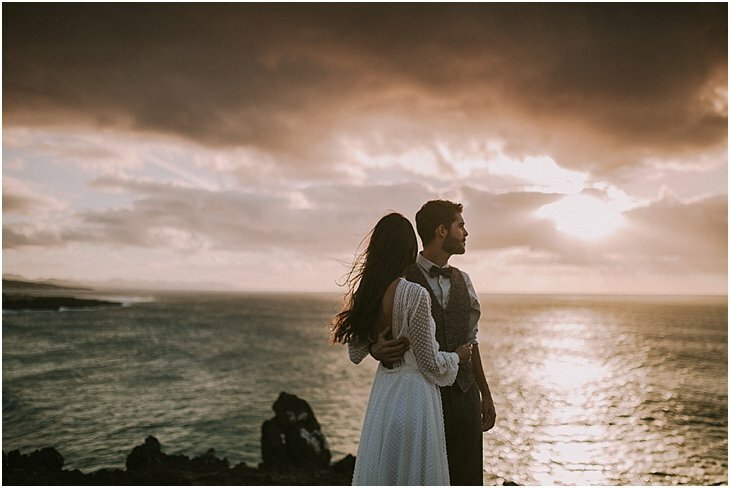 Because as soon as the sun sets, after the sky surprises you with a spectacle of different colors, the wind takes its place and makes you shiver in a few minutes. 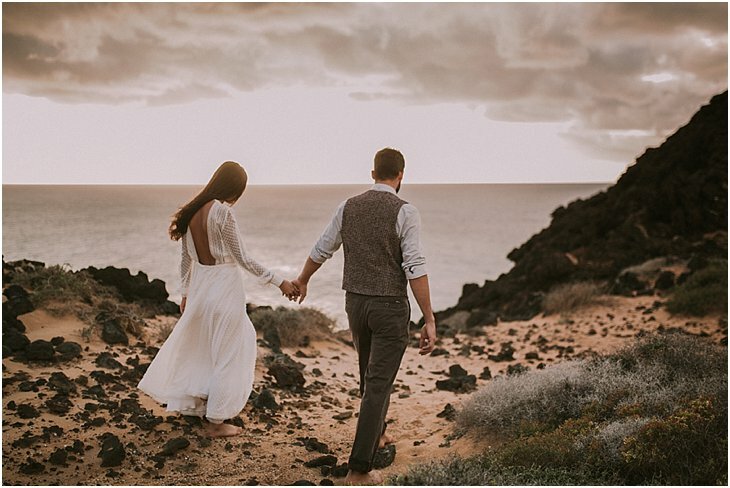 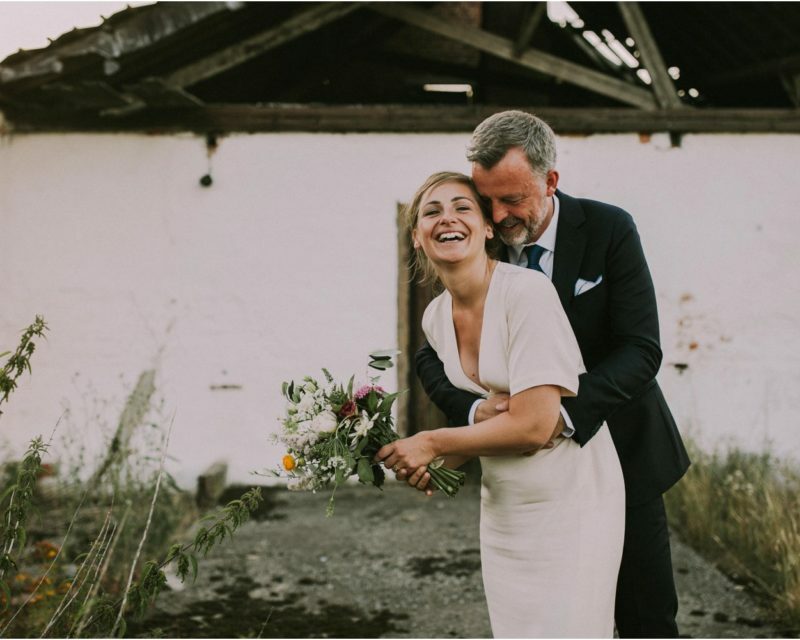 The good thing is… You can travel to the Canary Islands for an elopement or destination wedding during the entire year. 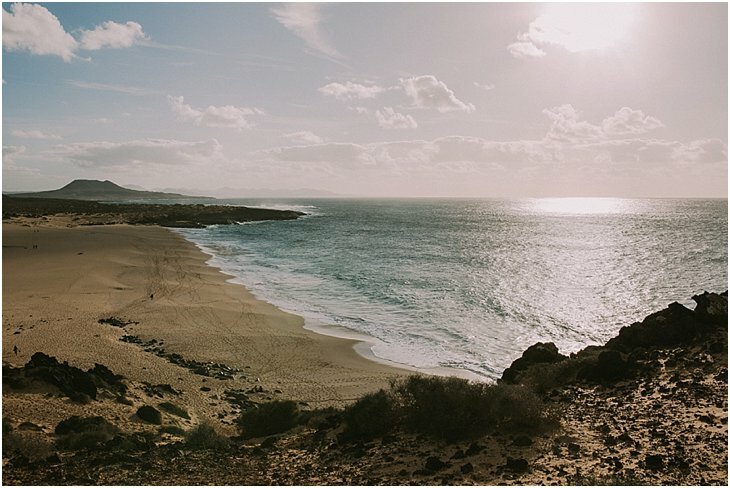 Even in wintertime, the climate stays quite good, comparable with spring time temperatures in Europe mainland. 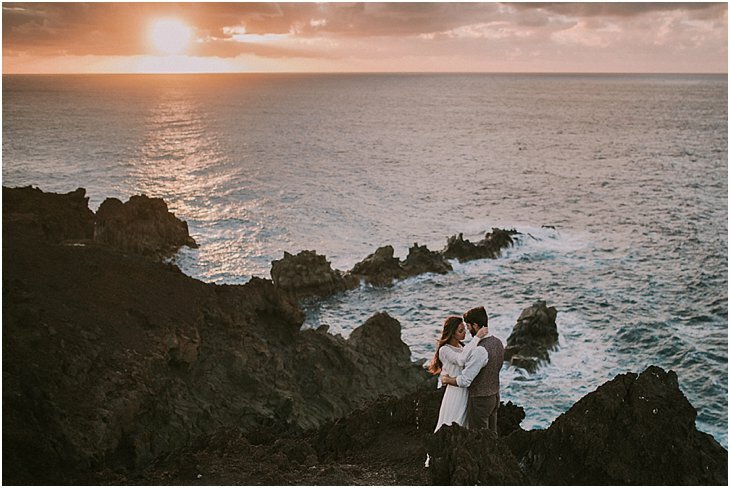 That’s why these Islands are so popular as a winter getaway trip. 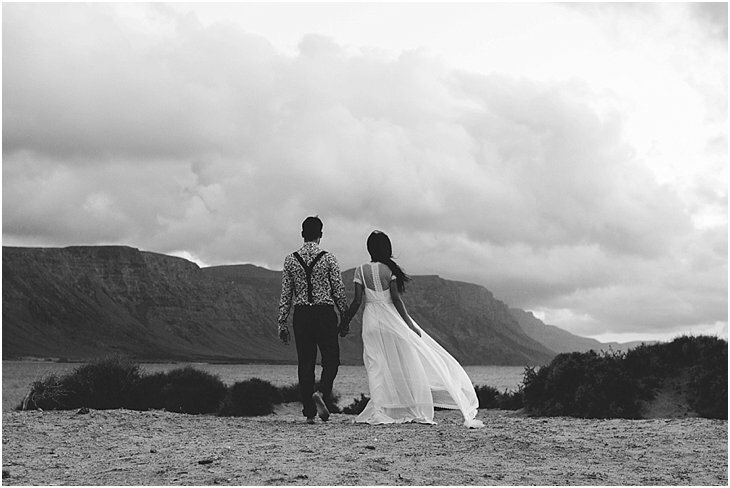 Each island of this archipel has its own micro climate and landscape. 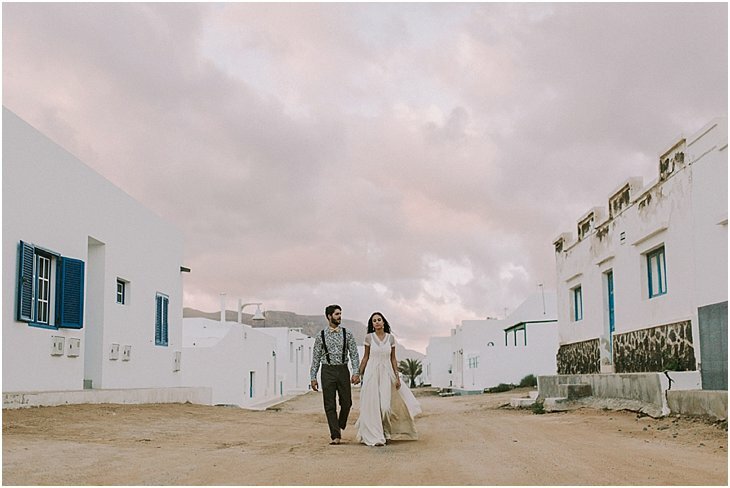 Until now, I visited Fuerteventura, Tenerife (when I was very little), Lanzarote (love this place), and La Graciosa (love this place even more). 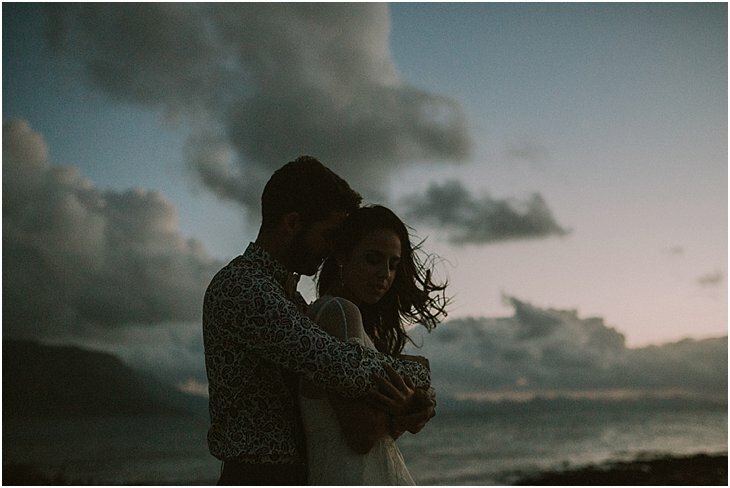 I will definetely be back this year. 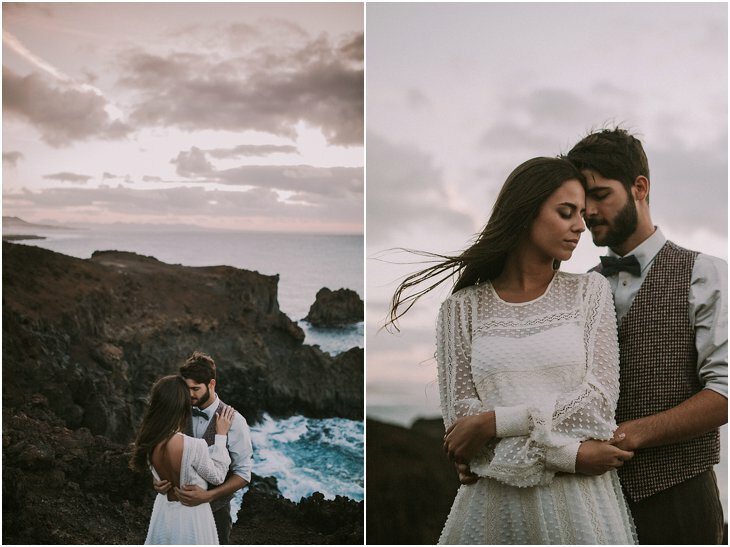 Hopefully for another Canary Islands Elopement or a Wedding or so. 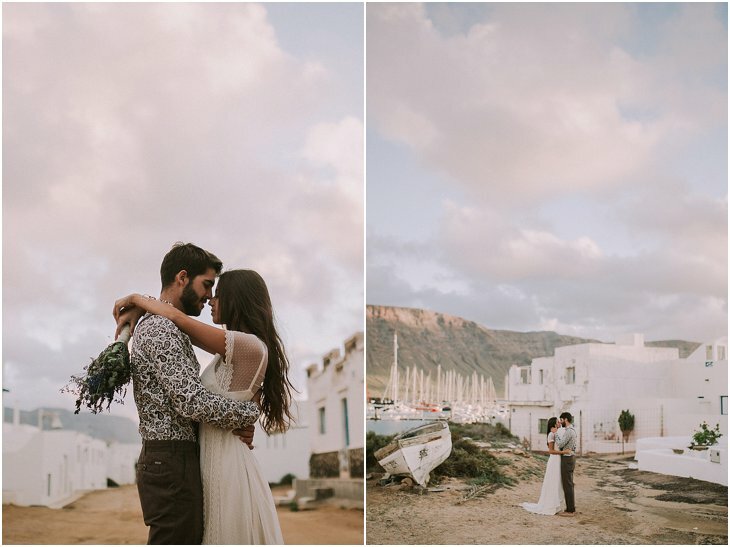 This archipel is so inspirational (when you go away from the ugly touristy places) it leaves me speechless, every time. 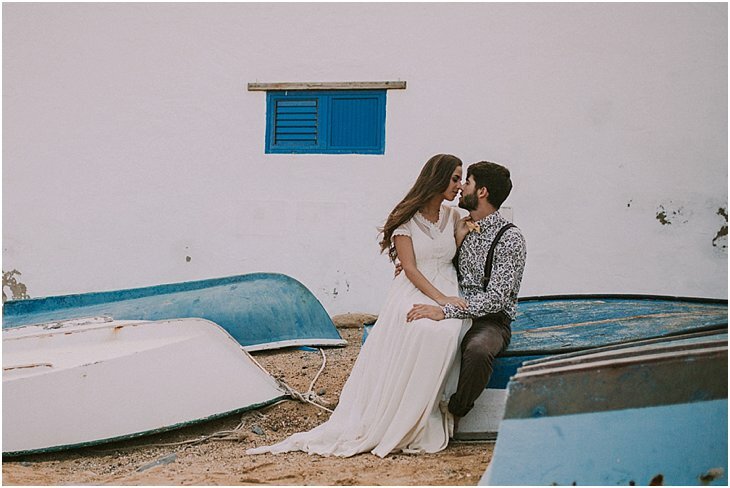 Credits of the amazing vendors: Bridal Dress: Aurelia Gil / Groom Suit: Roes Espana / Hair & MU: Maquillaje Las Palmas / Place: La Graciosa / And my favorite Wolves of course!